The next meeting of the High-Level Working Group on the Caspian Sea will be held in Nur-Sultan, AzVision.az reports citing RIA Novosti. 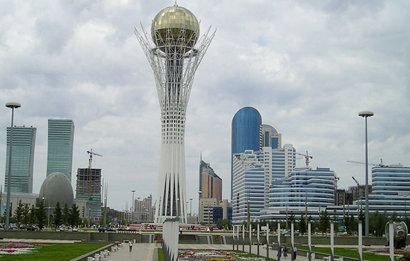 "The second meeting of the High-Level Working Group on the Caspian Sea will be held on April 16-17 in Nur-Sultan. All parties have confirmed their participation," Aibek Smadiyarov, Spokesperson for the Foreign Ministry of Kazakhstan, told reporters. The first meeting of the High-Level Working Group on the Caspian Sea was held on February 19-20 in Baku. It was attended by delegations from Azerbaijan, Iran, Kazakhstan, Russia and Turkmenistan. At the meeting, the parties adopted the Rules Of Procedure of the High-Level Working Group on the Caspian Sea and exchanged views on the implementation of the agreements reached at the 5th Caspian Summit.